fall in! there’s finally a crisp chill in the air. on the east coast, it’s sweater wearing, apple picking, leaf peeping season in full affect. time for some seasonal news. 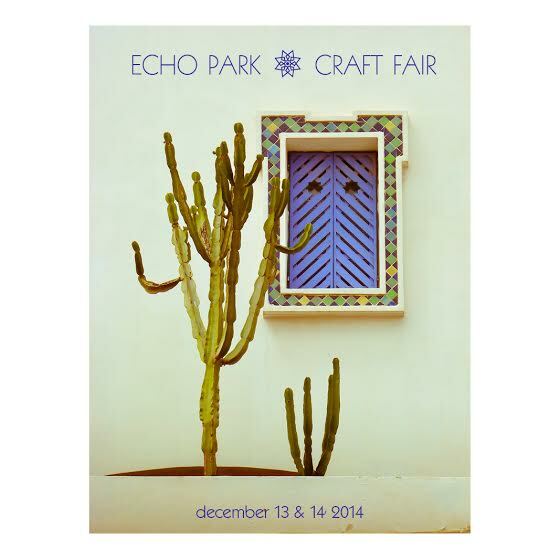 Save the date: In December, I will be returning to the Echo Park Craft Fair, on 12/9th and 10th. 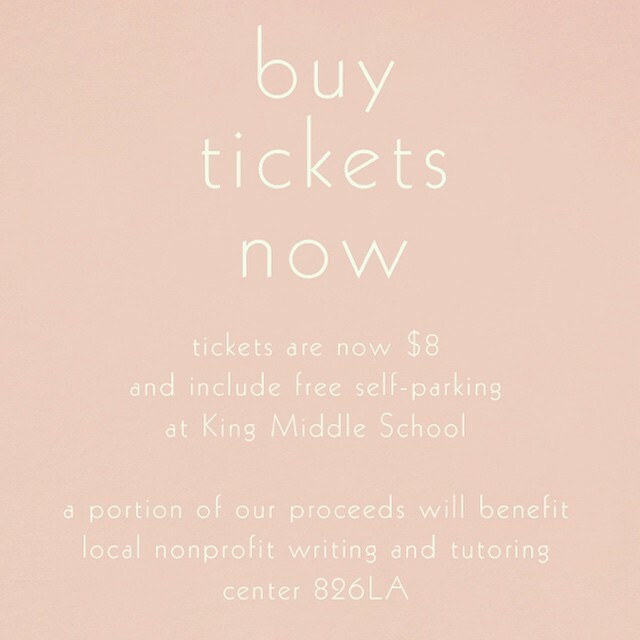 Get tickets and information here. Meanwhile, production is churning along, so place your orders soon for holiday deliveries; for instant gratification, the website has been recently updated for your online shopping convenience. 4 days! 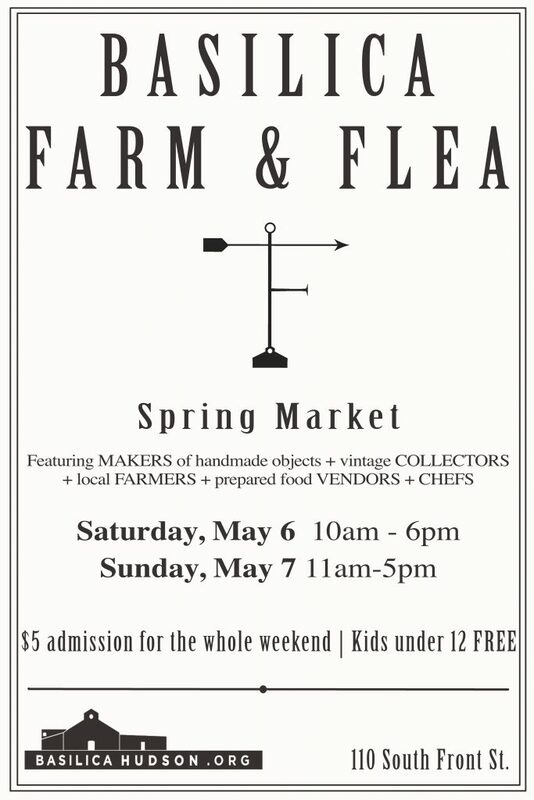 count down to another fun weekend at the Basilica Farm & Flea in Hudson, NY. 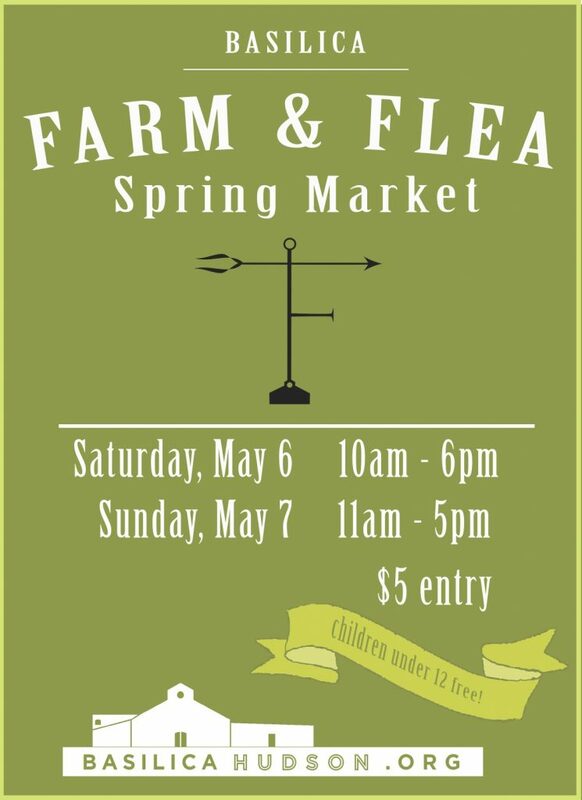 Farm & Flea is a great event, wonderful vendors, the Basilica is a beautiful space and Hudson, a gorgeous area. Come thru. Make a day or weekend of it. 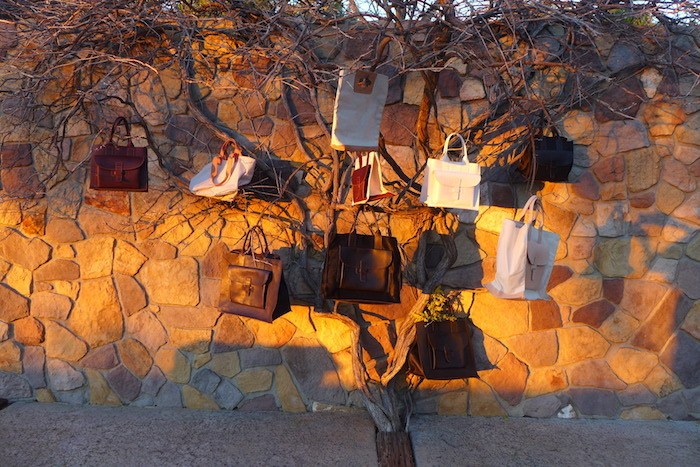 I’ll be there selling a range of sacs, cross bodies, key cases and carryalls. Tell your friends and look forward to seeing you there! 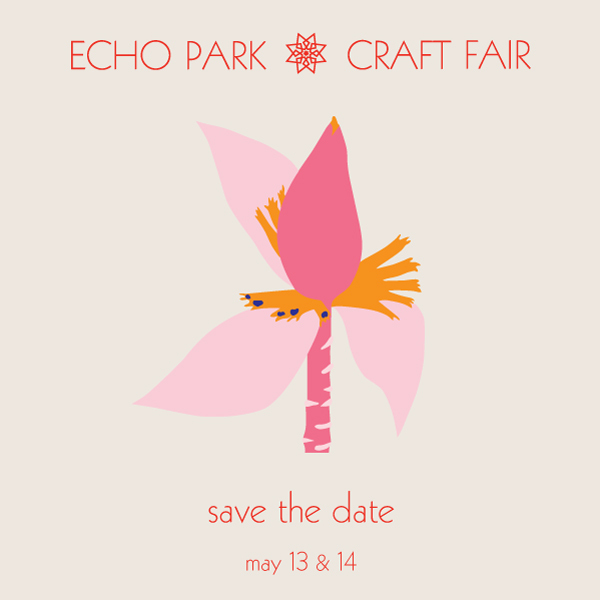 and to my West Coast peeps, SAVE THE DATE: May 13 + 14; I’ll be at the Echo Park Craft Fair, the following weekend, in Los Angeles, with more of the above mentioned and some surprises too! another season, another fantastic line-up. 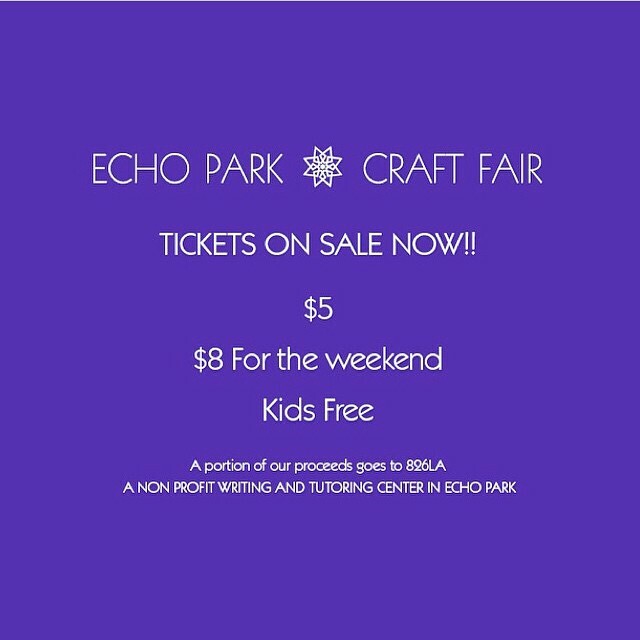 check here to buy tickets, here for more information about the participants, artist interviews, new vendors, new added fair features, etc. hope to see you there! 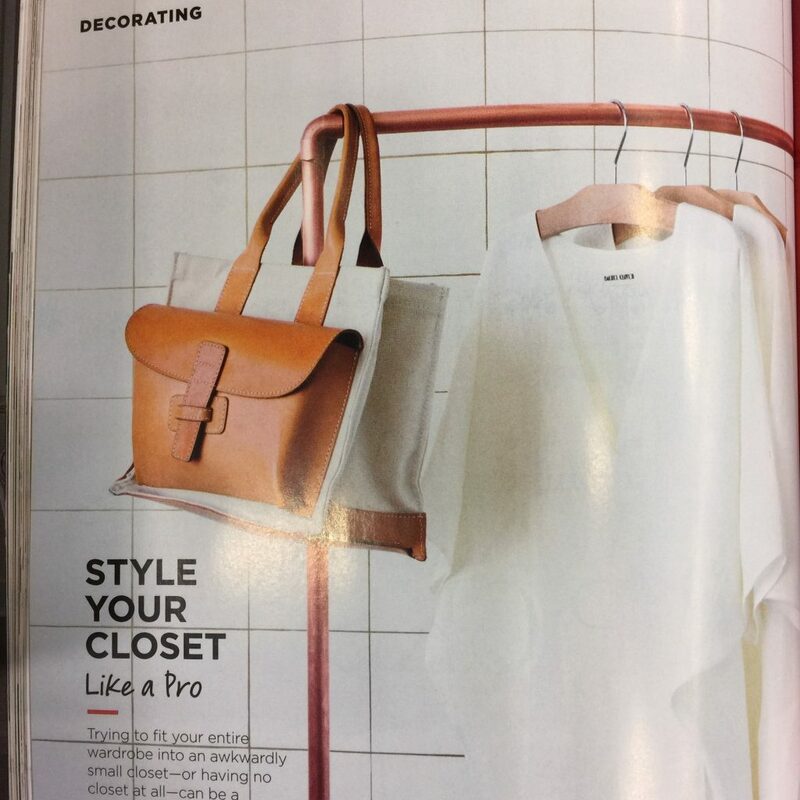 a special thank you to domino magazine for this beautiful shot of sac 1 canvas/natural hanging on a rack with rachel craven dresses – a familiar scene from nature. #likewedo. I will definitely have some canvas combination sac 1 and sac 2 and rachel will definitely have some dresses and textiles at the EPCF. everywair sprays are back! 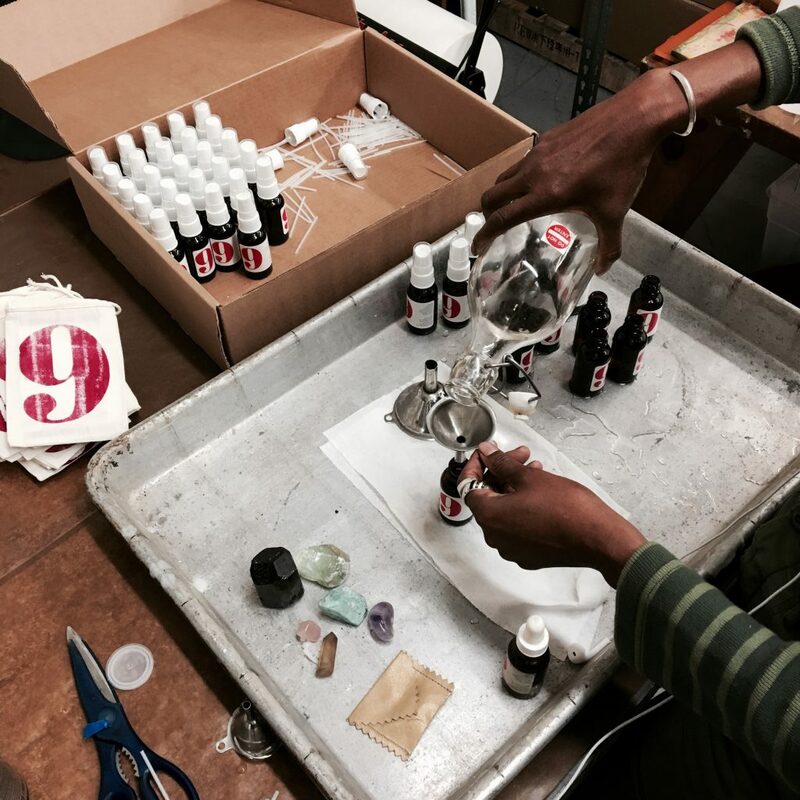 in preparation for the season of traveling, gifting, stuffing stockings, housewarming, I spent 3 super delightful and productive days deep in everywair spray production mode at the le feu de l’eau candle factory. when taking care of business with jo and wendy, working hard felt like hardly working. thanks ladies! see them at the EPCF this weekend, too! 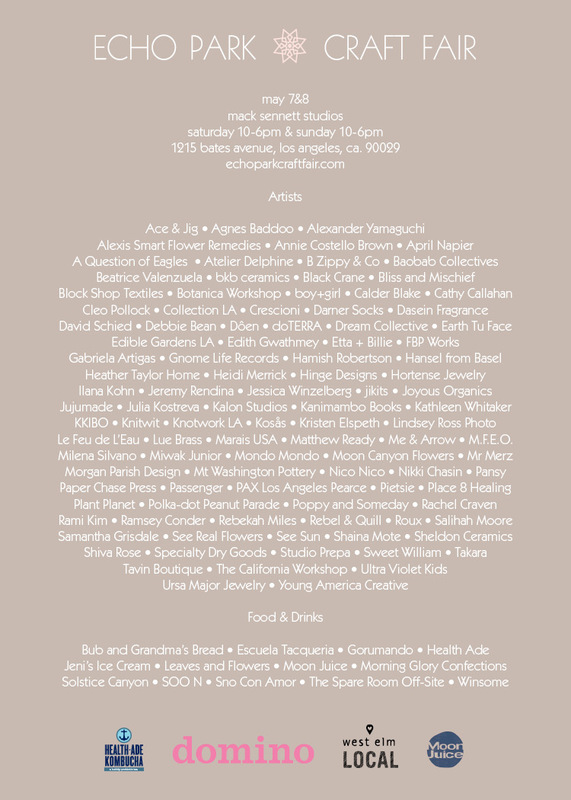 Introducing the EPCF Spring 2016 Artist Lineup. Save the date. See YOU there! some upcoming happenings i am participating in and/or attending. 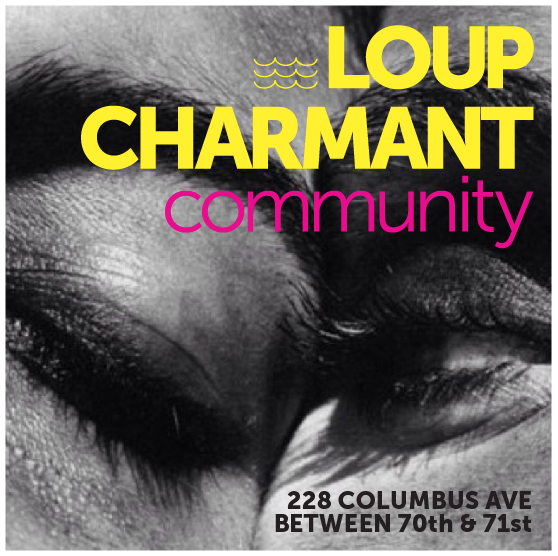 also this saturday in nyc, loup charmant launches a wonderful pop-up shop in my hometown neighborhood -the upper west side. be sure to frequent it. i love kee’s clothes and #sac1sac2 will be in the mix with pals like: le feu de leu, cathy callahan, mara carrizo scalise, to name a few. 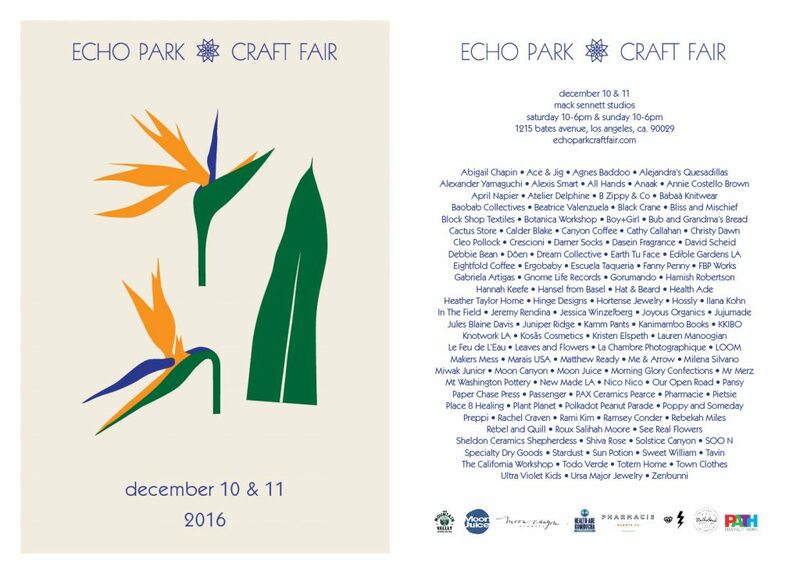 the echo park craft fair is practically around the corner so please mark your calendars and save the date! 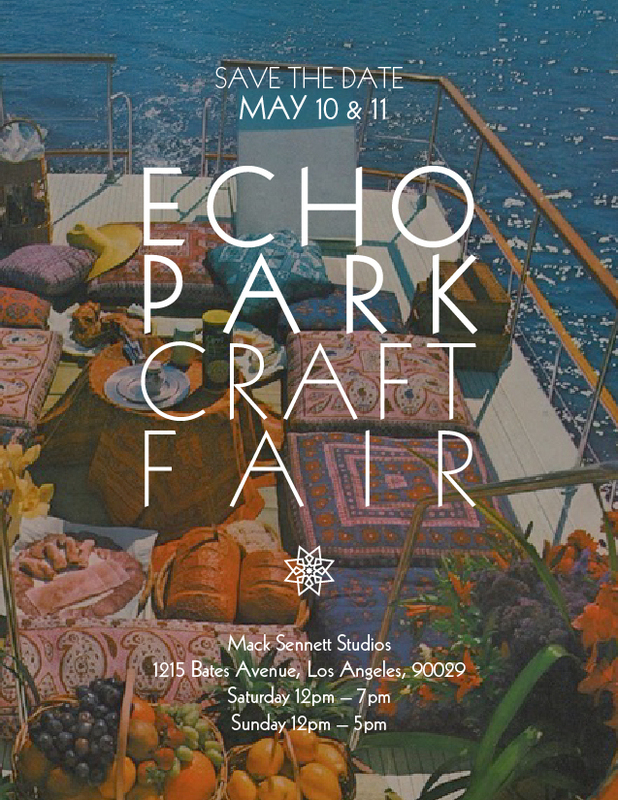 that’s mother’s day weekend…as always, the EPCF promises to be a wonderful event with a great line-up of artisan vendors -including yours truly! hope to see you there! 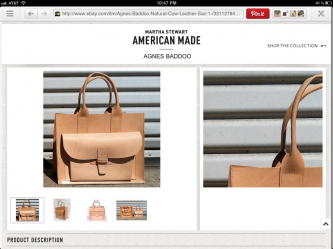 sac 1, sac2 are now part of Martha Stewart’s eBay curation: Martha Stewart American Made. pinch me! before there was artisanal, seasonal, super-charged, bio-dynamic, crystal filtered, sustainable, local, heirloom –air, Martha Stewart has been championing American makers from day one. from her shows on pbs, cbs, to hgtv, her magazines, her catalogues ( -remember those catalogues???) 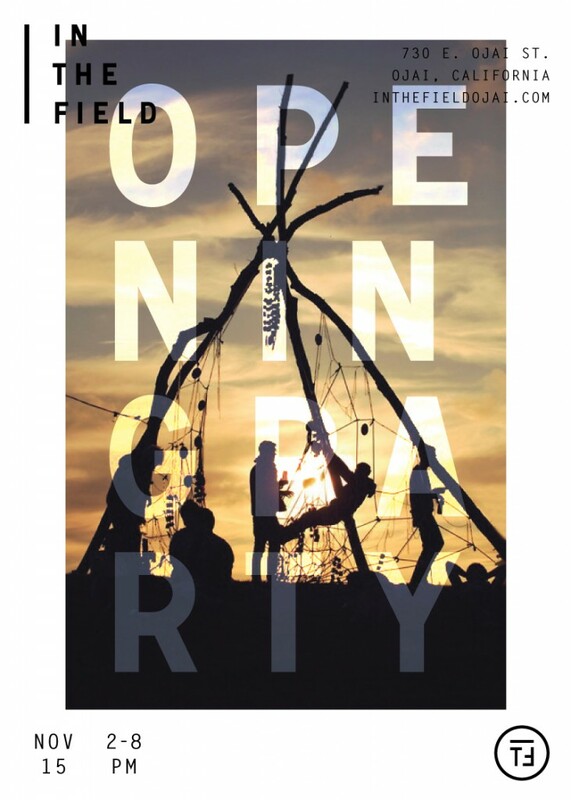 she has been introducing us to the ‘kind of their kind’, makers, doers, herders, harvesters, people who create things with care, attention to detail, high quality over flimsy mass production, people who work with nature and natural materials. the butcher, the baker, the candle stick maker, we met the ones to know first on Martha’s shows. 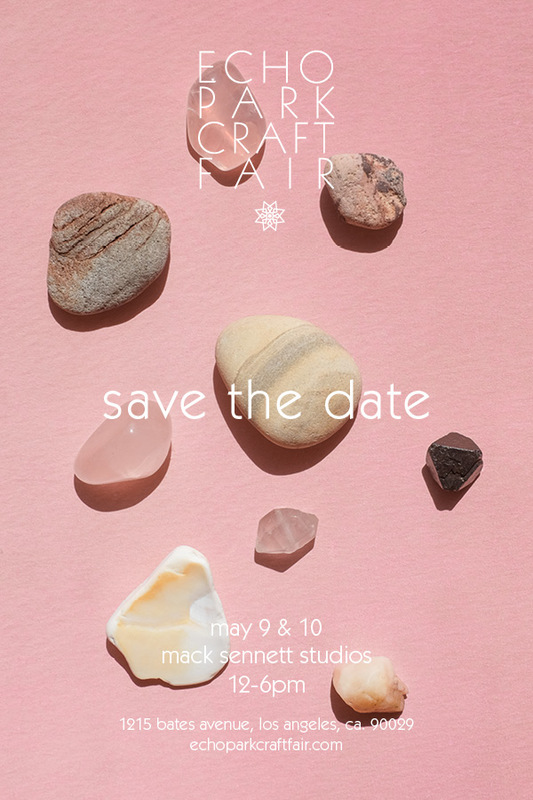 to me, she is the god-mother of the current crafting craze leading to the success and popularity of well-curated craft fairs. so it took 20 plus years to sow those seeds she threw but here we are, deep in the digital age, doing analog things with dowels, or hand blocks, or lathes, or leather crafting saddle-makers, loom weaving, dying hand spun yarns with plant dyes -then bringing the goods to the people via virtual and real time markets. this is old school/new school crafting and it’s a really good thing so, yes, I am kind of beyond jazzed to have products included in her curation! 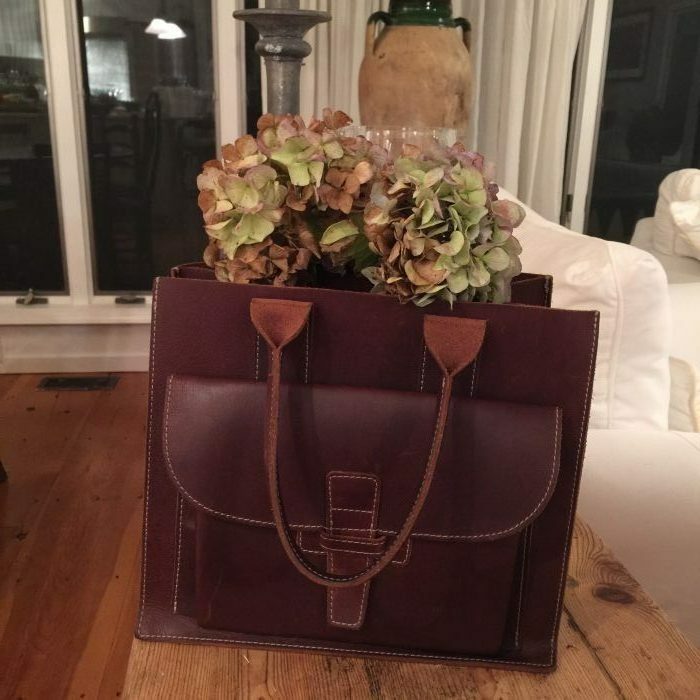 read more about Martha Stewart American Made and the 2 day market in Grand Central Station in autumn.